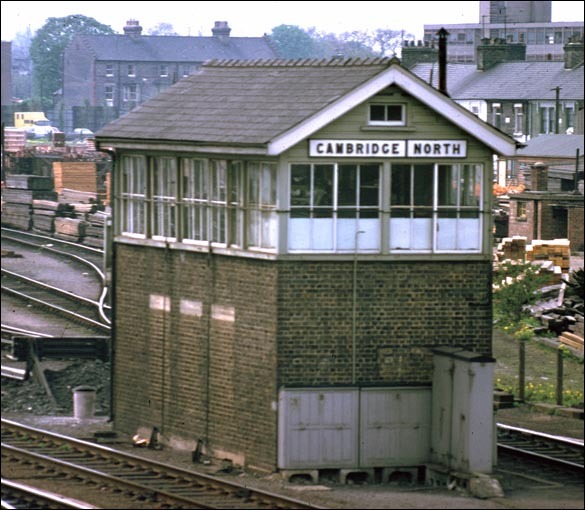 Cambridge South signal box that was at the south end of Cambridge station. A New brand new railway station opened on the 21st May 2017 also called 'Cambridge North' and has been built on what was the now closed large permanent way site that was just to the north of here on the line to Ely. So this name lives on. This box was opened in 1896. The new bricks are when in 1959 it had a 101 lever frame put in replacing an old smaller one and because of this the signal box had to made bigger. It closed in 1982. The Cambridge power box in 2013. 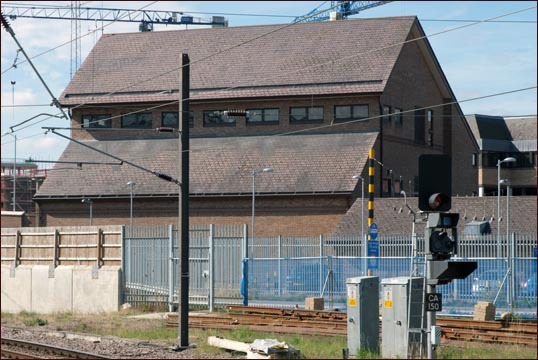 This building replaced all the signal boxes in and around Cambridge and and Ely. Cambidge Power box is in a building to the south of Cambridge Station from were I took the photo above from. It controls the line north to Ely and as far south as Stansted and as far as Dullingham on the line to Bury St Edmunds. It was opened around 1984 as the signal boxes on this page were being closed. The days of this PSB may be coming to a end as Network Rail has said that in 2016 ( the date not yet Known?) 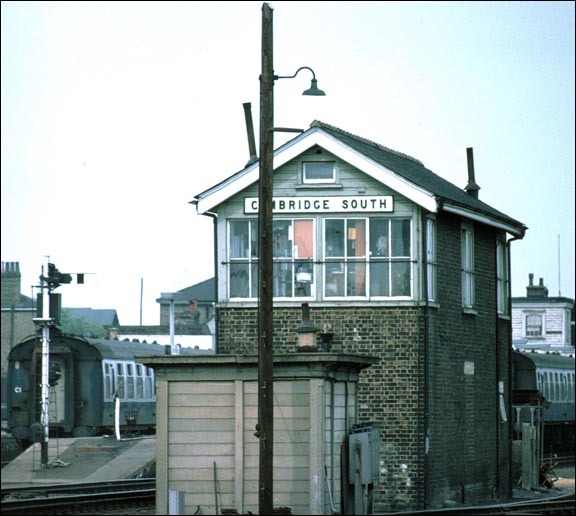 Cambridge PSB, as well as the Foxton Gate signal Box, are set to close with the Anglia Regional Operations Centre at Romford, taking over these areas.